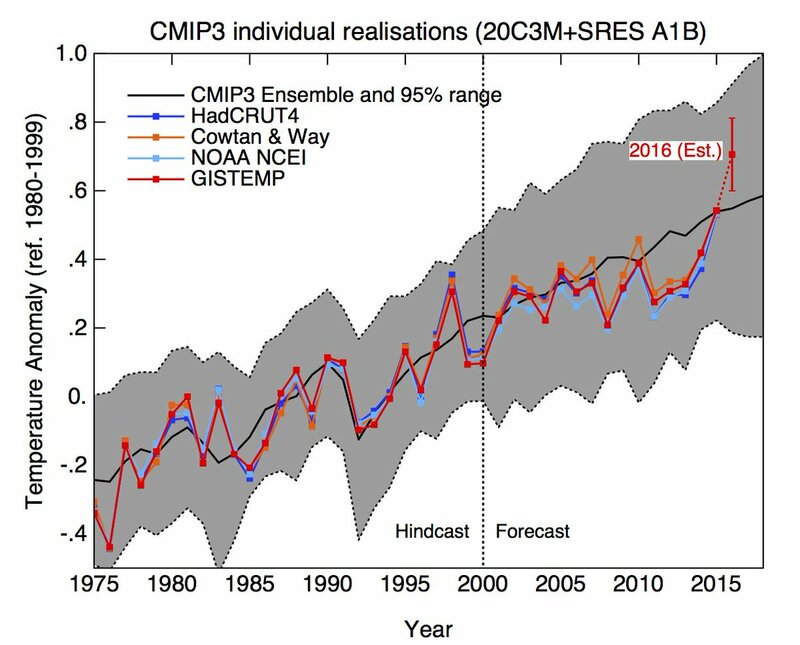 Meantime, this paper by Hourdin et al on climate model tuning is very interesting and harks back to the FAQ we did on climate models a few years ago (Part I, Part II). Maybe it’s worth doing an update? From July: zebra: You forgot about factories. Some of them run 24 hours/day, 7 days a week, and they use a lot of electricity. And you forgot about hospitals, police stations, traffic lights, electric subway trains, your water supply, and so on. Bart: The battery that would be big enough to smooth out the intermittent nature of wind and solar for the whole USA. It has to maintain base load at constant voltage, frequency and phase at all times. Did you look at the references I gave you? The professor does a good job of telling you what battery? The one we can’t build. The battery has to store a weeks’ worth of power because it will get run down over 4 months of cold, cloudy calm winter. Europe is worse. We don’t have a switch that can repeatedly turn off a 1 million volt, 60,000 amp DC power line. We don’t have a superconductor that will work at 150 degrees F Above zero. Etcetera. When we do have the technology, we will be able to build a global grid, but it will take decades AFTER we have the technology. Reminder: We don’t have the technology. We don’t know if we will ever have that technology. What we do have: We do have the technology for nuclear. MartinJB: I made my own estimate. It has been corroborated. “Tom Murphy is an associate professor of physics at the University of California, San Diego. first to see why we need a week’s worth of storage. The basic physics and chemistry didn’t change. “Green Illusions” by Ozzie Zehner: A complete renewable energy system for the US would cost 1.4 QUADRILLION dollars. My estimate for the cost of a battery for the US is $0.5 QUADrillion. 5 times 10 to the eleventh power. About 29 times GDP. How I got it: Fairbanks has a battery that can last 7 to 15 minutes. They paid $35 Million for it. Fairbanks has 30,000 people. That is $1167 per person. Multiply by 400 million people. Divide 7 minutes into a week. Multiply that by the number you got before. You get half a quadrillion dollars. Batteries are out. I did not account for price going up as resources are depleted. What is absolute raving nonsense is forgetting to read physics.ucsd.edu/do-the-math before commenting. Smart grids and flywheels and compressed air and biomass gas burners all added together don’t make any difference. To go with renewables only, you need a whole week’s worth of battery power for the whole world because Europe can have a long cold cloudy calm winter. The batteries can run down over several months. My list of references is too long to put here. Basic chemistry hasn’t changed. Batteries improve some % per year. We need an improvement of about a million times. 0 shares, f, bird, printer, + prevents me from going to the desktop site on Safari. It works on Chrome. One of my doctors showed me an image of a bunch of grapes that must have weighed 1000 pounds [wild guess] as a solution to GW. I reminded him that it didn’t happen without water. All climate models indicate more cooling of the tropical Pacific Ocean is likely, but only two of eight models exceed La Niña thresholds for an extended period. A La Niña WATCH (indicating a 50% chance of La Niña in 2016) remains, but if La Niña does develop it would most likely be weak. Could still happen, but too funny. Thank you Hank Roberts, Kevin McKinney, Nemesis, Edward Greisch and Victor for you comments about the idea of a climate emergency. Victor, you ask what emergency public policies I would suggest to address a global climate emergency. 1. Bringing the issue of a climate emergency to the U.N. Security Council and adopting a resolution declaring a global climate emergency would be the first step, at least in my book. 2. The implementation of a global carbon tax, as suggested by James Hansen, seems like a necessary and simple to implement emergency public policy. 3. An emergency plan to phase out all coal fired power plants worldwide, replacing them with renewable electricity generation. 4. The immediate shutdown of all tar sands oil activities and a permanent ban on their exploitation. 5. The recognition that some islands / countries will inevitably disappear due to the sea level rise that is already “in the pipeline”, and the reallocation of their populations to safe grounds in decent conditions within the next 10 years. Why isn’t there a “climate emergency day” when all climate scientists worldwide would unanimously declare that we are already in the midst of a climate emergency? Why are we still discussing the exact value for a “carbon budget” to remain under 2C warming, when we all know that any carbon budget estimate only leads to business as usual emissions until the highest estimate for a carbon budget is exhausted? I posted this in last months open thread but it was at the very end of the month and I doubt it will get a response so I’m posting it again and my question is… Is global warming speeding up? Egregiously unrealistic. A single household is well-advised to have backup for a week, typically. At continent-wide scales, no. Maybe, but all the ones presented in the past to support this contention have failed to do so. I’m not confident that this iteration will be any different. Battery chemistry is changing all the time. And quite significant cost reductions have been observed over just the last few years. Not if realistic assumptions are made. See point #1. EG 1: Bart: The battery that would be big enough to smooth out the intermittent nature of wind and solar for the whole USA. It has to maintain base load at constant voltage, frequency and phase at all times. Did you look at the references I gave you? The professor does a good job of telling you what battery? The one we can’t build. The battery has to store a weeks’ worth of power because it will get run down over 4 months of cold, cloudy calm winter. Europe is worse. BPL: Straw man argument. You do not need a single giant battery for the whole United States. You can use a variety of power storage methods on a regional or even a building basis. Every building with a Tesla wall is one that doesn’t have to be on the grid. And in addition to batteries there are flywheels, pumped hydro (a technology dating back to at least the 1930s), the recent invention of railroad uphill/downhill load variation storage, compressed air, etc., etc. CH 6: Is global warming speeding up? BPL: Yes. A linear fit between temperature anomalies and elapsed time (1860-2015) is good, but a quadratic fit is better, and survives a partial-F test. UAH has posted the global temperature anomaly at +0.39ºC, the second warmest July (after 1998) and the 24th warmest of all monthly anomalies. It represents a small rise on June’s anomaly. To achieve the ‘warmest calendar year on record’ (which remains 1998 at +0.484ºC) the remainder of the year would have to average in excess of +0.34ºC. The table here allows comparison with the 1997-99 El Nino years. That El Nino was quickly followed by La Nina conditions. While the 2015-16 El Nino ended pretty-much in sinc with 1997-98 El Nino, the La Nina conditions are a bit slow off the mark in that by the start of August 1998 the SOI 30-day average was hitting +14 yet so far in 2016 it hasn’t yet managed to top +5. 8 Bart: By the time you add up little pieces you will have either: The nation-sized battery or blackouts. Go ahead and try it as long as it is your money and your home town. You are free to do it and I am free to laugh. May I suggest Portland, Oregon, where a number of people have already backed out as the reality struck them? 7 Kevin McKinney: I am free to ignore you, especially knowing that you aren’t going to do the math. Move this to Brave New Climate. Yes, definitely. I would like to see an article on modeling that puts to bed denier arguments that models fail. In particular, I note that the Hourdin paper referenced here discusses “tuning.” Without reading the paper, deniers will jump on that word “tuning” and immediately and say that a tuned model is bogus. They will say that with enough knobs, you can predict anything. So, I think that the presentation needs to be carefully crafted to preclude this and other common denier arguments. Yes, I know. Deniers can and do reject all evidence. Still, a careful argument will help. Climate “Science” is not a political issue, rather the reporting and public perception of the results are political. They may seem the same, but in reality are quite different. Why is Climate change such a polarized issue? We only need to go back to see who brought Global Warming, then AWG, and now, more correctly, climate change to the public’s eye. Climate change was brought to the public’s attention. Then Carbon Taxes and Carbon Credits were proposes and implemented. In Other Words,the appearance of more big government and money making schemes. All guaranteed to cause conservatives to dig in their heels. I am very familiar with raw data manipulation into usable forms. My degree is in Computer Science (Science of computers, not programming although there is a lot of that as well) with minors in math and art. I was a Graduate Assistant working on my masters when a good job offer ended my quest for an advanced degree. I have found and been told by publishers, that scientists in general are very poor at writing articles on technical subjects in a manner the public can understand. Instead of scientists trying to inform the public, they need to hire a team of writers who are experts at translating technical subjects into plain language. That is where the use of analogies comes in. Something is always lost or changed when using analogies. Something scientists “in general” are loathe to use. Unfortunately scientists often use terms easily misunderstood by the public, sometimes leading to the impression that they are intentionally trying to mislead the readers, such as “a trick” in data manipulation. Mistakes are made. We often deal with statistics and a consensus, yet there is an element out there that insists, science always comes up with concrete numbers. Even pointing them to weather forecasting doesn’t seem to help. Industry hired firms to inundate the public with misleading and sometimes outright false information, with the goal of misleading, or confusing the public as they did with tobacco. The goal was just to make them doubt the science. Again, we need to determine the why and address it. Regardless, there will always be an element out there that can not accept science’s answers to problems, but with good writers, we should be able to reduce them to a minimum. I never understood the argument that if you can’t fix the whole problem, you can do nothing at all. 1) Their money, their home town, they doin it. 15 minutes of peak load from storage, small steps. Clips a bite out of their load too on sunny days. that’s serious money, especially at current interest rates. Nice. Makes sense, makes money, reduces fossil CO2 out, read all about it. 2) 300 MW of new run of the river hydropower on the Ohio. Easily throttled, great balancer for solar/wind. This is how you get things done. This is how you get things financed. Not by trying to stuff the whole watermelon down your throat. Plant an appropriate tree or two, too. 3MW solar and 7MW/3MWh storage as compared to normal load of 15-16 MW and peak load of 23-24 MW cannot itself supply either average or peak load. If the battery could supply 23-24MW then 3MWH storage capacity is approximately 15 minutes of peak demand. I suspect that outage sensitive companies like Dannon (mentioned in the article) have agreements for priority during outage. Ed Greisch, #1 and comments from last month. There are other sorts of batteries besides the lead-acid type used in calculating the size of the Nation-Sized Battery which you referenced. In a comment at the end of that post, Jason Goodman mentioned sodium-sulfur batteries. There are also Flow Batteries which function by pumping chemicals thru what is essentially a reversible fuel cell. Since these systems are stationary, size and storage capacity/mass are of less importance than for mobile applications. Indeed you are, Ed. And anyone else whose ideas you dislike, too. That’s well-demonstrated by the fact that you are still rebuking egregiously wrong assumptions after they’ve been thoroughly shown to be erroneous. 14 sidd: That works fine until one foul day in February when your city goes blackout and they come after you with torches and pitch forks. Then, I don’t envy you. Good luck. Comments on electricity production are way off topic on this site. Those posting such appear naively uninformed about the realities of a reliable electric power grid design. I recommend moving such discussion to Brave New Climate where there are many who understand some of the realities. Nice article. But there is still a lot of obfuscation that serves the monopolistic utility and its corporate masters rather than the consumer and the cause of reducing CO2. I posed the question last time: What is the baseload of my house? My house is the ultimate microgrid, and science and engineering often does best when it employs a reductionist approach. At least, the answer would provide an accessible reference/starting point for quantitative discussions. Do you, Sidd, have an advanced degree in electrical engineering specializing in power distribution? Do you have years of experience in this field? If not, caution is more than in order. Like being run out of town with tar and feathers? The electric companies do know what they are doing., mostly. “This impacts people. This is real life,” said NOAA climate scientist Jessica Blunden, co-editor of the report published Tuesday in the Bulletin of the American Meteorological Society. I think you are ignoring the fact that humans will accept information or not according to factors other than reason. Perhaps that is really the default mode, if you think about it– most people go through life without a clue as to how anything works, but they are happy and successful. “Better writing” isn’t going to change that. What’s needed is a narrative that counters the (fallacious but effective) claims that reducing CO2 emissions would result in a negative economic or social outcome. In other words, you can’t separate out mitigation and adaptation from the discussion. It is unfortunate that the moderators here are in the difficult position of having to discourage that integration due to individuals who approach the troll zone in their lack of restraint. If the good-quality “citizen” and professional scientists here can’t work it out, who will? Kevin, thanks for reporting from the “climate emergency” desk. So, I downloaded the PDF version of the NOAA / International 2015 State of the Climate report and guess what: the expression “climate emergency” is not used once in the entire report. Actually the word “emergency” is only used 7 times in the entire report, each and every time in association with local weather events. So again, why isn’t NOAA using the expression “climate emergency”? Do NOAA climate scientists figure we in 2016 are still years/decades away from a “climate emergency”? Or is there a directive that NOAA climate scientists should avoid using the expression “climate emergency”, a similar pressure to that felt by James Hansen when he used to work for NASA? Without clear and unequivocal statements from a majority of climate scientists that we are already in a climate emergency, not a single government and certainly not the UN Security Council are going to declare a global climate emergency and no emergency policies are going to be adopted. In other words, business as usual until the eventual exhaustion of all economically recoverable fossil fuel reserves (the RCP 8.5 scenario). As we all should… but that ought to read *rebunking*, of course. Damn autocorrect, anyway. 1. The report assumes present demand patterns. Thus, there’s no consideration of demand modification to adapt to fluctuations in the proposed expanded SPP grid. 3. There’s no mention of a mixed system of solar and wind. Solar PV can be a good match to the HVAC demand in summer, which represents the peak seasonal demand in some systems. I submit that the constraints presented in the report would be much less severe were these options considered. zebra: I posed the question last time: What is the baseload of my house? My house is the ultimate microgrid, and science and engineering often does best when it employs a reductionist approach. At least, the answer would provide an accessible reference/starting point for quantitative discussions. AJ: You house does NOT have a base load in any meaningful sense. “Base load” is the sum of many independent events, many of which (and this is key) are NOT at minimum levels. Equating your individual “vampire load” to the grid’s “base load” is a non sequitur. Sometimes your refrigerator runs, but the odds that everybody’s refrigerator will be off at the exact same time is zero. Base load is: “during the least busy time of the day/week/month/year, how many folks’ refrigerators (and other loads) are running during any particular second?” “Base load” (the grid) is about probabilities, “vampire load” (your house) is about limits. Calling your house a microgrid is an interesting claim. One characteristic of a microgrid is that it has the ability to function while disconnected from the main grid. I’m guessing your house doesn’t have that capability, so no, your house is probably not even remotely like a microgrid. AJ: Closing down zero-carbon electrical generation systems (nuclear) and thus increasing (or lowering the reduction) of fossil fuel burning is stupid. AJ: Please clarify, are you for shutting down zero carbon systems before shutting down carbon-intensive systems? BPL: Huh, I don’t remember saying that. Dude, you’ve already forgotten that you said, “I disagree”? Again, do you think we should toss existing zero-carbon systems in the dustbin before we toss out carbon-intensive systems? Re: Comment by zebra — 3 Aug 2016 @ 6:04 AM ~#20, “What is the baseload of my house? I lived in an area that had a lot of power outages that usually ranged from hours to days, but on two occasions, one in the summer and one in the winter (a very cold one), lasted a week while I lived there. Because our community expected these outages, businesses and homeowners were prepared with inexpensive, low-tech solutions. Wood stoves and portable propane or kerosene heaters provided heat. Camp lanterns and oil lamps provided light. Small generators ran refrigerators and freezers for a few hours per day, and could run lights, TV, and kitchen appliances as needed. Businesses, such as grocery stores with refrigeration and ones that didn’t want to shut down had backup generators. I talked to a physician who said that when the lights blinked in surgery, he knew that the backup power had turned on. So, the base load for my home and a fairly large region of the local grid depended on one’s expectations, willingness to adapt, and probably on the duration of an outage. In addition, there is a sense of satisfaction in the ability to take care of one’s own needs. If you think about it, these privations are part of the fun in camping or using an RV. We all can easily adapt to an occasionally fluctuating grid and those who want it perfect all the time are actually using this as a straw man to promote a power grid that we shouldn’t persue, or have an unnatural relationship with their air conditioner. FAQ from ‘08/’09 is great. Hourdin et al. global authorship and transparency effort is exemplary, if I am not mistaken. That’s a lot of homework. So, yes, an update, should time allow. #1 Ed Greisch: It’s really fun to beat a strawman like a pinata, isn’t it? Andrew, you need to find a new word and quit harping on the word “emergency” as though it’s the missing word and nothing else is taken seriously. “Emergency” is a rate of change term for rapid financial assistance, basically. Is there a lead paint emergency? An antibiotic resistance emergency? A mercury pollution emergency? a hormone mimic emergency? Find the right word for the problem. Personally, I’m recommending a neologism: Culturefuck: see petard, hoist. P.S., no, of course I didn’t invent the term. > Why is Climate change such a polarized issue? So, dear reader, you would like to know how to respond to overtures from Rex Tillerson and other fossil fuel CEOs to you. This has certainly come up with the Democratic National Convention and with Democratic speakers at media events held by The Atlantic, Washington Post, and Politico but sponsored by the American Petroleum Institute. About as alarmingly, the same thing happened at the Republican convention, except that The Atlantic “couldn’t find” people on the panel who would represent climate change as real (apparently the other media panels at the RNC had the same problem). The Petroleum Institute got to make opening remarks and distribute propaganda at the events. Huh! Don’t know if it’s the site or my browser, but mysteriously, all commenters have now acquired the (additional) surname ‘kirjoitti’. There is a lot going on with our climate. I am surprised by how far and how fast the daily CO2 sats are falling. The comparison year is the 1998 with the last really hot year El Nino event. It’s possible that I am just watching some fluke days, but I don’t think that is the case. I wonder if the annual CO2 cycle is developing slightly wider swings from the peak that shows up in May/June monthly averages to the low that shows up in Sept/Oct monthly averages. I think that no one really knows how the carbon cycle works in this changed world. well, maybe victor knows? but most of us not that certain. There are numerous new CO2 sources coming alive on hotter planet and historic (human time frame) natural flow are subject to changes in function on hotter planet. The GCM are all wrong in a lot of ways, though also useful in many ways. I don’t think there is any GCM that is capable of capturing/approximating the complexity of this small planet. Even a cloned planet would likely be subject to perturbations that could create significantly different outcomes over the course of relatively long time periods (anything from 1,000 to 100,000 years). Of course, the models that attempt to give us a preview of glacier and ice sheet melt and SLR are particularly wrong, unless I am mistaken. Does anybody know of a GCM that has done a good job of matching up to the loss of arctic sea ice, the increasing fragility of Antarctic ice, and the changes in Greenland ice sheet without significant tuning? That happens to me occasionally. ‘kirjoitti’ is Finnish for ‘wrote’. Hey, no problem here. The goal is to reduce CO2 ppm in the atmosphere. We all work on what we think is best, rite ? Some of us work on climate models, others on weather models, ice models, solar, wind, hydro, nuke, renewable transport fuel, transmission, soil regeneration, afforestation … list goes on. Some want everyone to work on just one or two and scream at others for not accepting the One True Way. Sorry dudes, you want the dictator forum, not the realclimate forum. BPL: Every building with a Tesla wall is one that doesn’t have to be on the grid. AJ: NO! NO! A thousand times NO! Every building with a Tesla wall is one that NEEDS to be connected to the grid to help stabilize the grid. Going off the grid in an area where the grid is available is completely counter-productive regardless of the self-sufficiency of the building. The grid is, when viewed from a building, a near 100% efficient storage solution. Going off-grid where the grid is available is stupid. Dude, have you even read Tesla’s claims? The Tesla wall unit is basically a substitute for a backup generator, but also has the capability to feed the grid. Without the grid, the unit is just a horribly inefficient system that spews carbon in far greater amounts than any grid-based solution. All the “capital” costs of the unit have embedded carbon costs in excess of the carbon costs of a grid connection. Every kilowatt that goes through the unit loses maybe 15% AND degrades the wall unit by a similar amount, so the total loss is perhaps 30%. (Compare that to the near 100% efficiency of transmitting your building’s excess power to the building’s neighbor.) Tesla’s unit is about uninterruptibility, NOT efficiency. The unit MAXIMIZES carbon emissions when separated from the grid. That’s why Tesla says ya still need the grid. To productively use the Tesla Wall Unit, you MUST minimize the use of the Wall Unit. It’s to be used as an exception, not a rule. And 6.4kwh is a pitifully small amount. Your house can burn through that in an hour. Then what? The wall unit is about keeping the fridge and some lights working while the power line to your house is repaired. It is in no way a substitute for the grid. You pontificate constantly with essentially zero knowledge, brains, or research. NOBODY who does due diligence would miss Tesla’s own claims. Par for your course. Have you ever lived off the grid? I have, and it’s a truly inefficient decision, unless you’re, like I was, in a location where the grid doesn’t exist. And RSS has posted for July at +0.469ºC. This is not greatly different from UAHv6 being the second warmest July on record (ditto UAHv6) and the 27th warmest monthly anomaly on record (UAHv6 was 24th). Satellite data even shows a lower trend. You apparently missed my response last month. Alfred, there is no “we”. Nor is there a “we should”. In the USA, there would have to be a policy of the federal government to address your issue. What are you suggesting that policy “should” be? For example, would it be, say, nationalizing any nuclear plant that an operator wishes to close, and sending in the troops to keep it going if the Governor objects? I think people would like to know how you plan to achieve your goal rather than having the goal stated over and over. I just don’t follow your reasoning. The baseload as you describe it is determined by individual house loads. I don’t think anyone argues that we can’t build/modify a house that could operate for an appreciable time period using only, for example, one of those Tesla house batteries. Wouldn’t we have to calculate the “baseload of the house” to do that? “Fallacious”? Really? So you’ve forgotten the disastrous introduction of biofuels, as mandated by a law that incentivized farmers to turn from producing food to producing a “safe” alternative to fossil fuel? Resulting in a drastic increase in food prices worldwide. I imagine you hardly noticed. But millions struggling for survival in the third world certainly did. That mandate still holds, by the way, and will be very difficult to undo, despite the by now widespread recognition that it was a terrible mistake. Of course a “narrative” can be artfully contrived in all manner of ways, if your intention is to deceive. I’m being redirected to http://www.realclimate-backup.org, where the images don’t show. They do show up on http://www.realclimate.org, but there I can only see the mobile site. Disturbing but of utility because his confusion of climate scientists with climate activists, his weighing of the science – falsehoods of the coming ice age science, etc., is maybe a common perception in many publics. His essay stimulated me to write about what I think has been/is the biggest mistake by climate activists: continuing to try for as much emission reduction as is possible within BAU and in so doing wrongfooting many concerned citizens about what is needed which helps buttress denial that marginalizes any debate of emergency government action. – there is no matching between different sources of energy – yet if the wind does not blow, the sun may be shining and the water can be let over the hydrodam turbines, and conversely – when the wind blows hard – you stop the water over the damn, allowing it accumulate for later use (call it “passive” hydrostorage), or use the surplus energy to actively pump the water up (“active” hydrostorage). Finally, underlying the dismissal of wind energy is the “all or nothing” fallacy – if the wind cannot provide 100% of demand 100% of the time, then forget it. The perfect is the enemy of the good. AJ: Again, do you think we should toss existing zero-carbon systems in the dustbin before we toss out carbon-intensive systems? BPL: Are you under the impression that nukes are “zero-carbon?” They aren’t.